is your permit EXPIRING soon? apply for renewal within 1 year. For your convenience, we've placed the official Iowa info, including excerpts from IA Code 724, below, in THIS left-hand column. QUESTION: What are the training requirements for the renewal of an Iowa professional or nonprofessional permit to carry weapons? training or qualification must occur within the twelve-month period prior to the expiration of the applicant's current permit. for a new permit or for a renewal? permit issuance fee will be $50.00. The same application form and background check requirements will apply to both new and renewal applications. Of course the info above, from the IA DPS, is a summary of details in IA Code 724, pertaining to weapons. We've excerpted some of the more relevant info & placed it below in case you are interested in nitty-gritty details (like we are). of the applicant’s current permit. 3. The issuing officer shall collect a fee of fifty dollars, except from a duly appointed peace officer or correctional officer, for each permit issued. Renewal permits or duplicate permits shall be issued for a fee of twenty-five dollars, provided the application for such renewal permit is received by the issuing officer at least thirty days prior to the expiration of the applicant’s current permit. public safety, state police department, or similar certifying body. 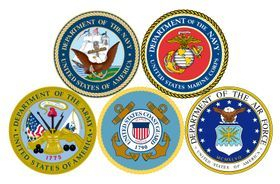 of basic training with a service record of successful completion of small arms training and qualification. officer to carry a firearm in the normal course of the peace officer’s duties. a. A photocopy of a certificate of completion or any similar document indicating completion of any course or class identified in subsctn 1.
b. An affidavit from the instructor, school, organization, or group that conducted or taught a course or class identified in subsctn 1 attesting to the completion of the course or class by the applicant. Just like your initial application, you'll apply for renewal to your County Sheriff. So apply EARLY, don't procrastinate. 2) In addition to your Iowa WP5 application, you will also need to "demonstrate knowledge of firearm safety". To do this, you will need to show some form of proof that those requirements have been met within the last year (that's where FiveC comes in, see below). Choose how to PROVE your knowledge. either method provides you with the proper certification you can take to your Sheriff for renewal. Since your renewed 5-year permit is half the price of your first application, consider investing that savings in a FiveC course. Imagine if you are ever in a situation where you actually NEED TO DEFEND yourself or a loved one. Would you feel comfortable with the skill-set you currently have, or would you wish you had stepped up your skills a notch or two? What if you fire your gun in self defense and you are charged with a crime? Would you want the jury to see that you poked holes in a target, attended a competition, or took a basic online course? Wouldn't it serve better in the eyes of a jury to KNOW that you went beyond the minimum, that you learned empty hand defensive options, and that you demonstrated real proficiency in choosing AND employing your defensive choices? 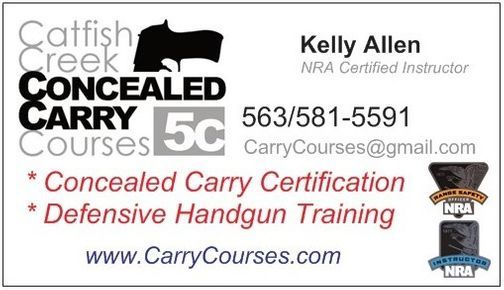 As we say in our Safely Concealed course, "You don't know what you don't know", and that tiny bit of advice, that small training hint, or that new legal information, might make the difference between life and death, or freedom and prison. 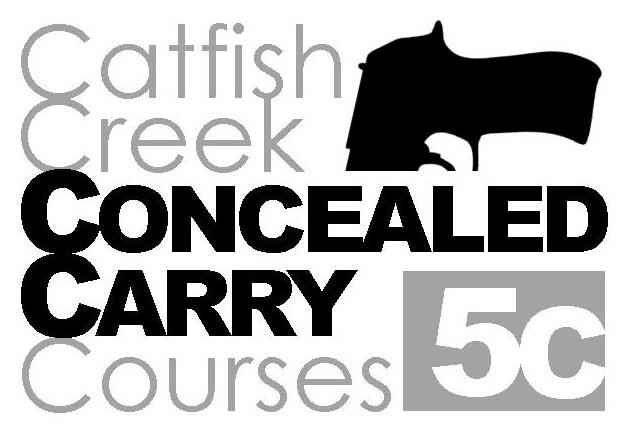 For that reason, Catfish Creek offers more advanced courses for those who are already familiar with basic handgun safety. The NEXT STEPS Course is a prime example of raising the bar on your defensive skills set. You will get a balance of live-fire range time and quality classroom instruction. You will learn a host of simple empty-hand and less than lethal defensive options, so that you can hopefully avoid employing a firearm unnecessarily. You will also learn, and demonstrate, pistol training skills which can give you a true edge in a real gun-fight. Further, we'll discuss important legal information you need to know in order to make good defensive choices and protect yourself from potential legal battles. SURVIVE The Active Shooter is a course for those who realize we may face a very REAL threat, even in small towns, from home-grown terrorists, and wacked-out killers bent on causing senseless death. Law enforcement has found that the best way to stop such an "Active Shooter" situation is to END the life of the killer as quickly as possible. Our course focuses on HOW to keep yourself and your loved ones ALIVE in the midst of such an event. This includes how to cooperate with law enforcement, and what to expect as the event unfolds; as well as how to avoid and escape the chaos. During the range time you will also learn skills to help you take-on and defeat such a killer if there is no other recourse. Such skills include the use of protective cover, techniques for charging the threat, and taking long-range pistol shots at moving targets. Would you be satisfied with the bare minimum training when it comes to defending yourself or your family? FiveC also offers a simple TARGET SHOOT Course for those who are comfortable with their current defensive skill-set, but still need an NRA Certified Instructor signature to prove they have demonstrated "knowledge of handgun safety". This course takes just a few minutes with one of our certified instructors, and will provide you with a signed certificate of completion. You will demonstrate both proficiency and safety knowledge as you fire live rounds at a target at distances ranging from arm's length to 25 yards. You'll need to bring your carry gun, holster, concealment garment, and at least 20 rounds of ammunition (a spare magazine is also useful). Cost for this opportunity is just $20. Contact us for available opportunities, or visit our calendar.